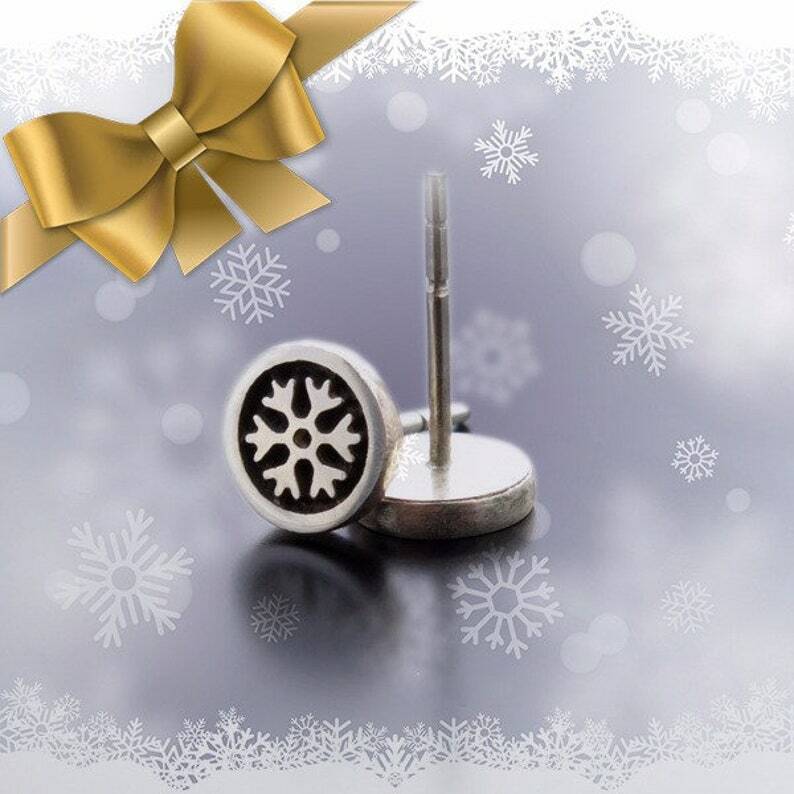 Small sterling silver earring studs with tiny snowflakes, the silver is solid 925. Tiny and special silver earring posts . 💝 This listing is for pair of circle studs with snowflakes. Beautiful jewelry for winter days, great Christmas gift or New year gift. 🌼 The shape is: circle.